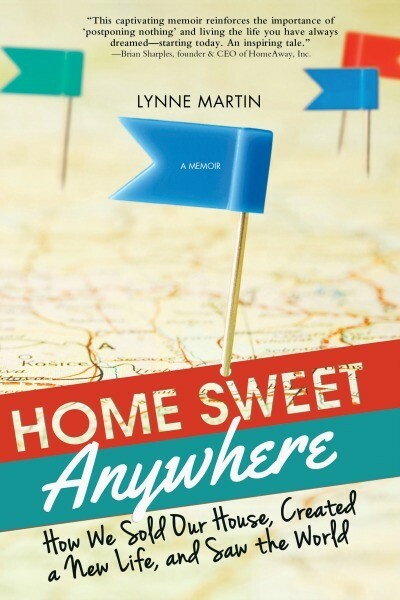 I’m excited to be one of the stops on the Home Sweet Anywhere blog tour, a book by Lynne Martin, releasing on April 15, 2014. I had the chance to preview a copy and their travels and their life are amazing to read about. For those of you who love to travel or have dreamed about it – they are truly living this dream in a unique and inspiring way. 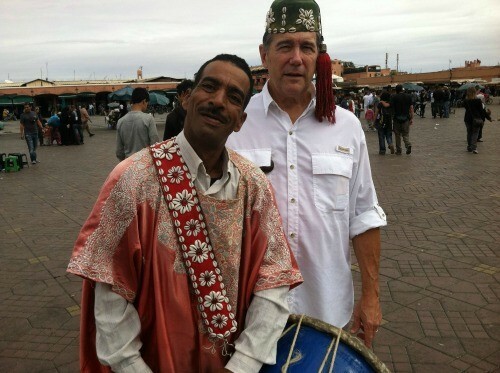 Keep reading for an excerpt about their stop in Morocco, as well as some photos and their book trailer below. Enjoy! 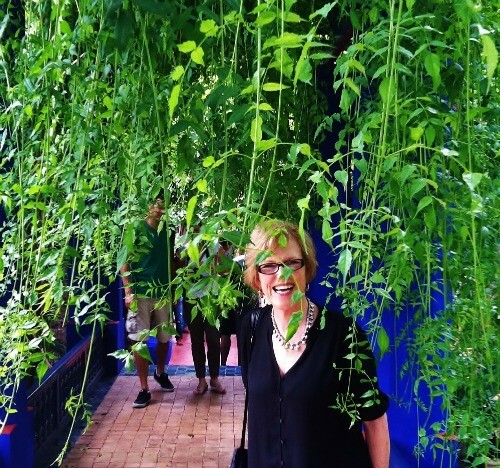 Reunited in love after 35 years and suffering from a serious case of preretirement wanderlust, Lynne and Tim Martin made a life-altering decision: they sold their house and possessions and hit the road to live internationally full-time. Now tethered to nothing but their suitcases, each other, and their next exotic location, they’ve never looked back. From sky-high pyramids in Mexico to monkeys in Marrakech, this delightful, inspiring memoir is a romantic tale of derring-do for grown-ups and a road map for anyone who dreams of turning the idea of life abroad into a reality. The Muslim call to prayer erupted from a speaker mounted on the ancient tile roof across the street, answered by a hundred others. Smoke billowed out of doorways where men seared meat over charcoal stoves, and I glanced up just in time to avoid running into a donkey cart which had appeared from nowhere. Drums, snake charmers’ flutes, shouts from vendors and Arabic music blasting from boom boxes competed frantically. It was chaos. We hurried along. Tim walked particularly fast, his shoulder almost touching the peeling terra cotta wall. I followed as closely as possible without stepping on his heels, my eyes downcast, trying not to trip on the uneven cobblestones. I flinched when the pink sleeve of a woman’s robe touched my face as she roared past me on her motorcycle. Tiny shops, their tattered awnings meeting in the middle of the narrow lane, offered trays piled with silk purses, leather goods, jewelry, fruits and vegetables, water pipes, bolts of cloth and pottery, making our passage almost impossible as we headed for the center of the city. Storekeepers vied for our attention, some touching our arms, imploring us to look at their goods. We dodged donkey carts, tourists, Africans in robes and swirling burkas, men in fez and skullcaps commanding us to follow them, and women and children begging for money. The cacophonous moment, the calls to prayer echoing over everything, the confusion of odors –spices, searing meat, baking bread, sour bodies, sweet incense – made us breathless with excitement. 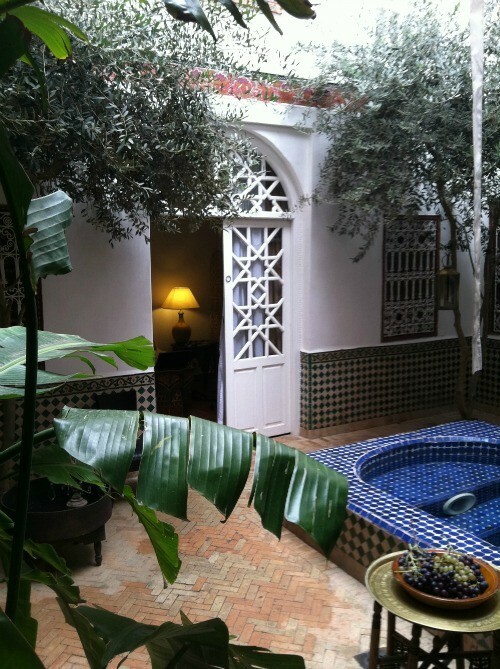 We had arrived in Marrakech.